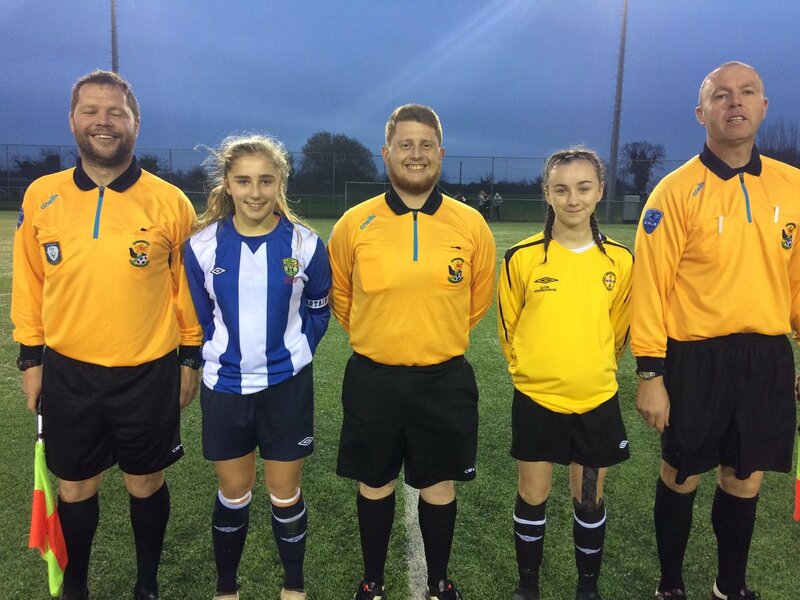 The opening series of games were action packed this evening as the tournament got underway with defending Champions Connacht entertaining a much fancied Munster select. There wasn’t much between the two teams as they played an excellent brand of football. A Jenna SLATTERY (Laurel Hill SS) penalty on 24 minutes was calmly converted for the only goal of the game following an infringement on the lively Heidi O’Sullivan (Regina Mundi College) inside the box. Indeed Connacht can feel hard done by as shouts for a penalty were waved away by match official Gavin Higgins. Both teams played some inviting passages of play but the goals just weren’t coming as Munster edged the win and a valuable two points to get their campaign off to a flying start. Also enjoying a slight advantage in the tournament were favourities Leinster as they came from one nil down to beat Ulster 2-1 in a classic. 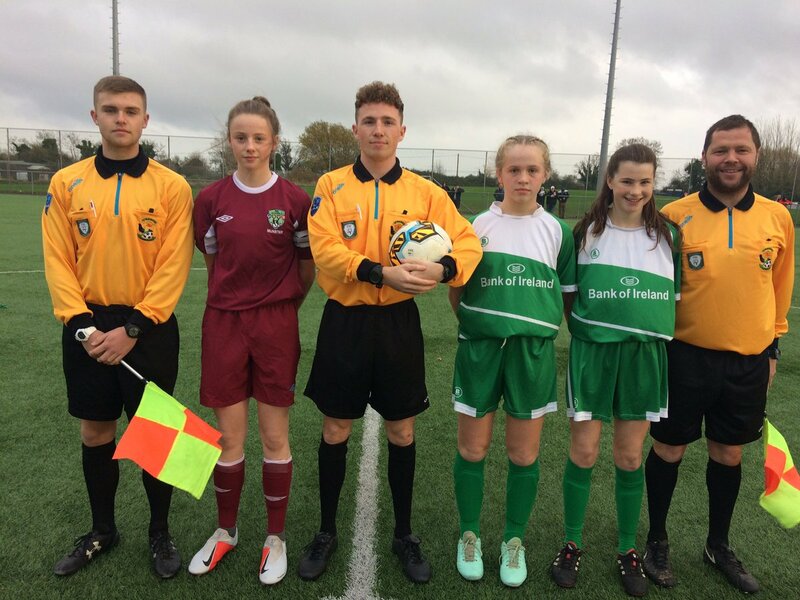 The Ulster side opened their account under the quarter of an hour mark as a well-rehearsed corner courtesy of Finn Valley College star Cody Walsh found the feet of Carndonagh stalwart Sophie MURPHY for her to toe poke home. It was all Ulster in the first period but indeed Leinster found their form in the second half as Molloy, De Mange and Stapleton all impressed. 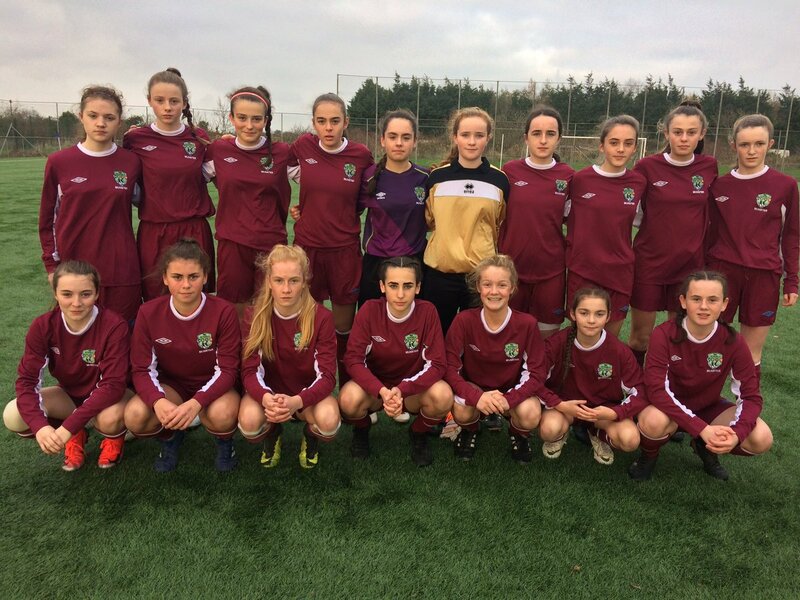 The Leinster equaliser came midway through the half when Presentation SS, Kilkenny student Freya De Mange whipped in a delightful ball from a set piece which Palmerstown CS pupil Jessie STAPLETON headed home. STAPLETON then doubled her tally three minutes from time for the match winner as she converted from the penalty spot. It will be all to play for in the penultimate fixtures on Saturday afternoon as Munster take on Ulster at 1pm while Connacht look forward to their clash with Leinster at 2.30pm. 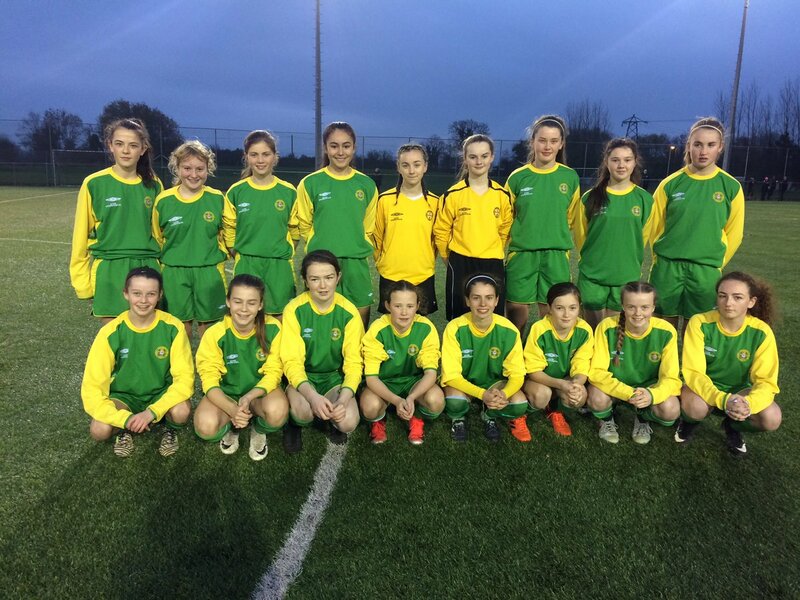 Tournament Ambassador, Emily Whelan (Ardgillan College) was on hand to present the Player of the Match accolades to our future starlets. 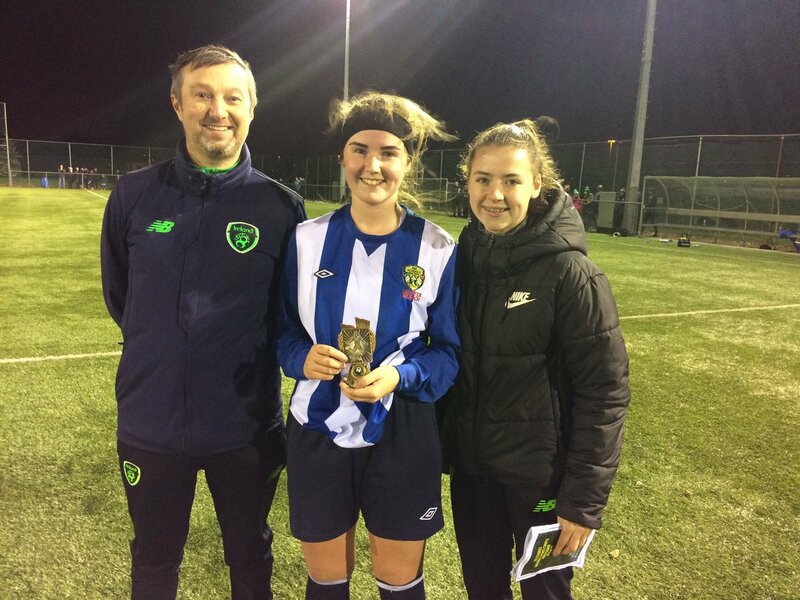 Emily enjoyed Interprovincial success with the Leinster crew in 2016 which saw her pick up a Player of the Match award following her top class performance against Connacht on opening night. 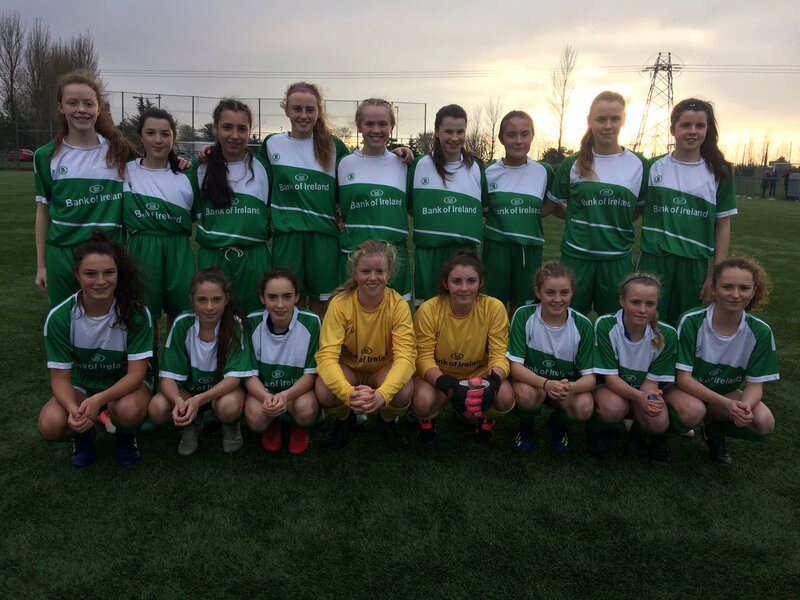 The Dubliner has been capped for FAI Schools and played in the Bob Docherty Cup in Dublin with a runners up spot secured in 2017. 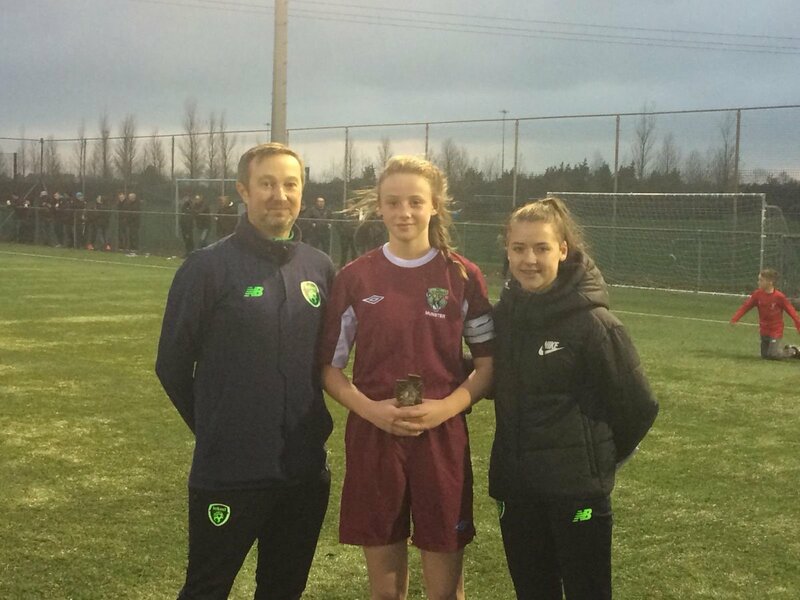 Whelan named Coláiste na Trócaire, Rathkeale grad Nicole McNAMARA as her POTM with a well-rounded display for the Munster girls. 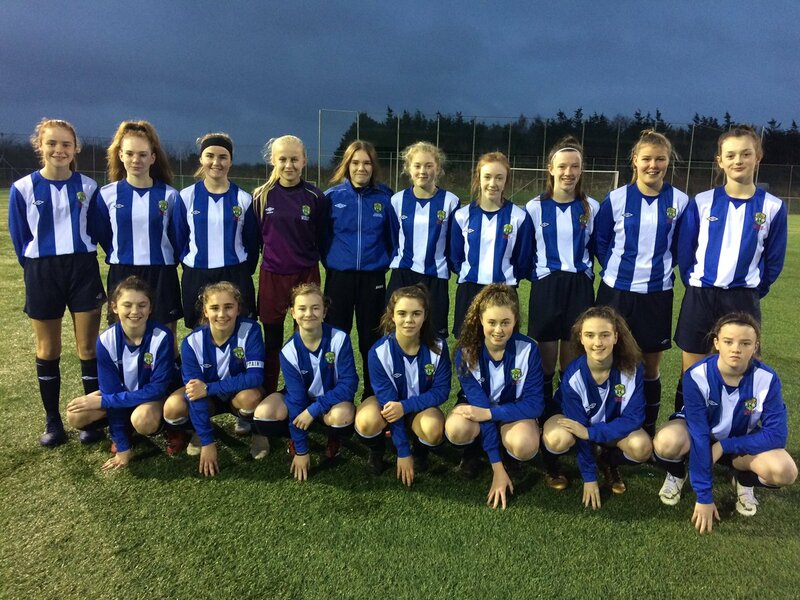 While in the second outing, Whelan was impressed with the brace that Palmerstown native Jessie STAPLETON secured in her side’s victory over Ulster. MANAGEMENT | Dom Coll (Presentation College, Athenry) Fabienne Cooney (Claregalway College), Stephen Lacken (St. Patrick’s College, Lacken Cross).